Wortham Insurance is one of the top 10 privately held insurance brokers in the U.S., and the largest broker headquartered in Texas. 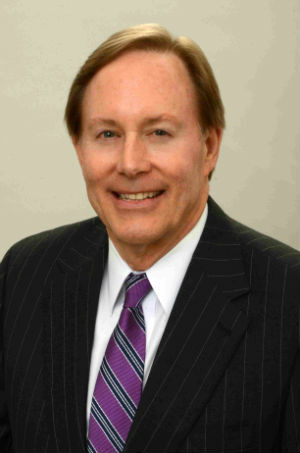 Wortham clientele represent a cross-section of business in Texas and beyond. The Wortham philosophy is to bring value-added ideas to clients. As managing director of Wortham, James L Gleaves is tasked with making sure the Wortham philosophy is carried out in all areas of the firm’s practice. What do kids know about risk? If you spend any time at all around kids, you’ve probably scratched your head, as I have, asking yourself, “what can these kids possibly understand about risk?” Watching little ones ski down a hill at terrifying speeds or eavesdropping on teenagers as they talk about their weekend antics, the idea of risk must seem very remote and implausible to them. 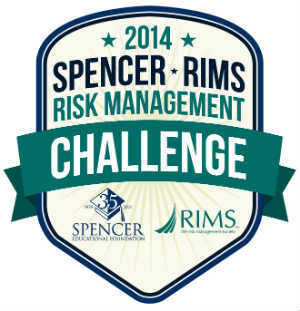 That’s why we were so glad to hear about the Spencer-RIMS Risk Management Challenge. Sponsored by the Risk & Insurance Management Society, Inc., along with the Spencer Educational Foundation, Inc., the competition challenges college students to work in teams to develop a program that addresses issues laid out in a risk management case study. This year, their challenge was focused around Snap-on Inc.
Fifteen teams competed, and the best and the brightest teams were invited to the RIMS conference in our home town of Denver, Colorado, to present their case this past spring. The teams presented in front of an audience of 100 risk management professionals, and also had an opportunity to meet and mingle with risk management professionals during the conference. The team from Temple University’s Fox School of Business took first prize — $4,000 – for the second year in a row. Teams from Florida State and Virginia Commonwealth were awarded second and third place, respectively. It’s interesting to see how business schools are approaching the idea of risk management. They’re building specific curriculums to help guide college students directly into the marketplace when they receive their undergraduate degrees. For example, the team from Temple were studying in the Risk, Insurance and Healthcare Management department in the business school. The RIMS Risk Management Challenge was a great way for the teams to apply what they’re learning in an academic setting to a real-world situation. Exactly the kind of experience you hope a recent college graduate will have as they launch out into the job market. We look forward to next year’s competition, and hope we can get involved on some level to help kids get a better idea about risk. On May 8th. 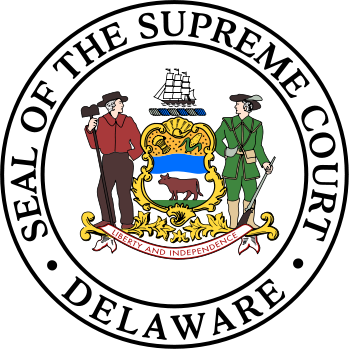 2014 the Delaware Supreme Court upheld a corporate bylaw that placed the burden of paying attorney’s fees and costs in intra-corporate litigation on the losing party. The case, ATP Tour, Inc. v Deutscher Tennis Bund, et al., revolved around a bylaw set by the ATP’s board in 2006 which stipulated that if a member should assert a claim against the ATP, and the member loses, the member is obligated to reimburse the league for fees associated with the suit. In 2007, the bylaw was tested when the German Tennis Federation and the Qatar Tennis Federation – both members of the ATP – sued the ATP after it was downgraded to a lower tier and its season was changed from spring to less desirable summer play. When the federations lost their plea in court, the ATP sought damages according to the bylaws, and the resulting case in May upheld the bylaw. Read a thorough synopsis of the case on the Jones-Day website. It’s clear to see that this volley between a few tennis associations could have far-reaching implications for corporations across the U.S. According to the State of Delaware, more than one million companies have incorporated there. In fact, more than half of publically traded corporations listed on U.S. stock exchanges and fully 64 percent of Fortune 500 companies are incorporated in Delaware, according to the Delaware Division of Corporation’s 2012 Annual Report. If these companies begin adopting “loser pays” bylaws of their own in an effort to deter shareholder lawsuits, it could change the nature of business in America. Shareholder law suits have been on the rise over the last few years. According to Cornerstone Research, in 2007, investors challenged 44 percent of corporate mergers. In 2013, investors challenged 94 percent of corporate mergers. In future, the risk of filing such lawsuits could be much higher, and shareholders may think twice before initiating a suit, even if the only objective of the suit is to gain better information about potential mergers. On the other hand, shareholders moving forward with cases will have more motivation to build a stronger case, which could be bad news for directors and officers who could become the “losers” in more effectively-structured lawsuits. Directors and officers may want to consider how the ruling in Delaware might put them at additional risk in the future, and take a look at obtaining additional coverage to insure against unanticipated legal fees. If we can help you determine what kind of coverage you may need, please contact us for more information. During the 2013 tax season, H&R Block had to make a public apology to students whose refunds were delayed. A glitch in e-filing software meant that some 600,000 people who had filed a Form 8863 for a higher education tax credit saw a delay in getting their refunds. 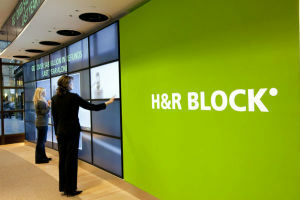 Though H&R Block wasn’t the only company impacted by this product error and omission, they certainly paid the highest price. Social media channels lit up with negative chatter about H&R Block, and all the affected returns had to be reviewed. Since the glitch occurred between February 14th and 22nd that meant tax season got perceptibly busier for the company. Imagine a little software glitch creating a massive problem for your company. In addition to implementing your crisis management team and suffering the loss at hand, you also have to make good on the problem, and deal with the impact it will have on the current workload at your company. At some point, a technology glitch is likely to impact your company. It may be a software problem created in-house, or an issue caused by a third-party vendor. Even companies with exemplary quality control processes in place – like H&R Block – can suffer from this kind of problem. Think of how quickly Blackberry went from tech darling to tech nobody after a series of issues or consider the loss Delta Airlines suffered when a tech glitch on the day after Christmas, 2013, mistakenly advertised and processed fares as low as $47 for a New York to L.A. flight. Delta had to honor the fares and suffer the loss. How do you buy an insurance policy for “unknown, indeterminate electronic glitch that could bring our company down in a matter of seconds?” OK, that may be a bit over-the-top, but businesses face a wide range of unforeseeable problems that are difficult to insure. One way to purchase a bit of security is to create a captive. With a captive, companies that rely heavily on technology can write an insurance policy to protect their company from potential disaster. A captive gives a bit more legroom than traditional insurance policies are able to so that companies can develop a policy that works specifically for their industry and their business. If you’re worried about a potential glitch, make sure you’re covered. Talk with your insurance broker to see if they have a policy for you, and if you want to explore how a captive might be able to help you, please contact us. Since the Great Depression, the FDIC has covered bank deposits with an insurance systems that is backed by the U.S. government. It is considered a failsafe, and up until the financial crisis of 2007 – 2008, the program had so earned the trust of the American psyche that some Americans either believed that the FDIC covered all deposits, or they simply didn’t understand the limits in coverage. Many businesses and individuals found out the hard way that their deposits at any one institution were only covered up to $100,000 (the limit at the time) and found themselves unable to recoup the loss during a string of bank runs and failures during the financial crisis. In response, the Emergency Economic Stabilization Act of 2008 increased that limit to $250,000. If you are thinking about your personal deposit accounts, read the FDIC’s Deposit Insurance Summary carefully and work with your investment broker and/or banker to come up with ways to make sure your deposits are covered. Businesses that need to operate deposit accounts with large amounts of money may need to think of some updated strategies. Since the bank crisis of 2008, some cash management firms have sprung up that will help manage large deposits by spreading them out over a large network of banks. However, those firms take a fee for their efforts, and work in a vast web of deposits and accounts that is difficult to manage. Businesses that need to have a lot of cash on hand may want to consider a two-pronged approach to cash management that involves smart banking and smart insurance, just in case they ever face a bank failure. Be smart about where you bank. Work with your banker and investment advisors to develop an approach that keeps your deposits safe and insured. 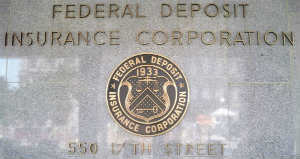 Bank with a mix of local institutions and national banks – making sure they participate in the FDIC program. Know where your cash flow is at all times. Work with the professionals to understand how much risk you face on a day-to-day or month-to-month basis, and consider purchasing extra insurance to cover losses in excess of the FDIC’s guarantee. This is an area where captive insurance can be very helpful. A captive can cover losses you face from deposits if they are in excess of FDIC coverage during a crisis. And, if the crisis never comes, you’re captive investment is working for you – instead of going out to cash managers and bank fees at multiple institutions. Talk with your financial representatives, or call us, to see if a captive is right for your company. Who insures the insurer? The industry that built its foundation on spreading risk has developed the most advanced strategies to ensure that the risk really is covered. In so doing, the industry invented reinsurance. The idea of reinsurance is just as it sounds—one insurance company insuring another against potential losses. The Reinsurance Association of America hosts many pages of education about reinsurance, along with training and education to help the uninitiated learn more about how reinsurance works. 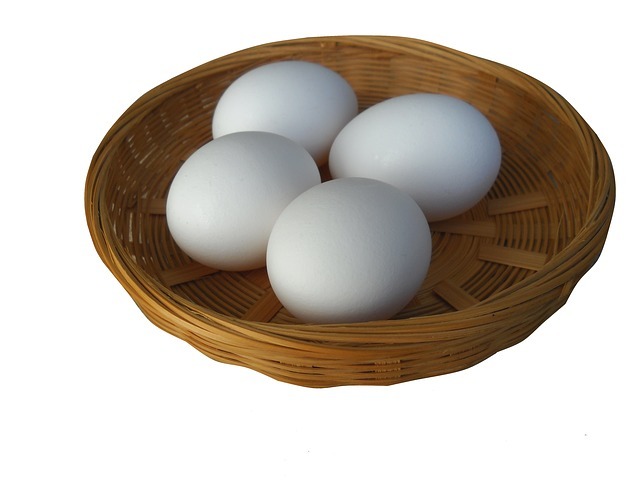 Reinsurance can be best explained by the “all your eggs in one basket” analogy your mother used to caution you with. Reinsurance is one insurance company purchasing part of the risk held by another as a means of risk management – many eggs, many baskets. There are times when a reinsurer is interested in purchasing only one policy, and there are times when a reinsurer covers a class or category of coverages. This is known as a “treaty”. Here in the U.S. state regulations – which oversee the governance of insurance companies – stipulate that only 10 percent of an insurance company’s net worth can be on the line, unless the policies are in a reinsurance scheme. Reinsurance companies form a sort of community where risk is shared so that when there is a big disaster, the loss is shared by many, and no single insurer bears all of the burden. The idea of reinsurance is now hard-wired into the insurance industry in the U.S. All insurance companies must participate in a pool of risk, and captive insurance companies are no exception. Intuitive Captive Solutions (Intuitive) operates Intuitive Reinsurance Administrators, LLC, which was formed to manage Intuitive’s proprietary reinsurance pool, the Colorado Reinsurance Exchange. The CREX is an insurance pool that is exclusive to captives under the management of Intuitive to share risk through a reinsurance contract. By spreading the risk, Intuitive captives are able to share losses and benefit from the financial support of their insurance colleagues while remaining compliant with regulatory requirements. Listen to your mother: In life, and especially insurance, don’t put all your eggs in one basket. If you are considering starting a captive insurance company, take a very good look at the market and the various risk solutions that are available to you – the reinsurance strategy that you participate in will be critical to the long-term performance of your captive. Scrutinize the index well and make sure you understand how the Index calculates risk and makes its decisions. If you have any questions about reinsurance or the CREX, please feel free to contact us with questions. Self-insurance – is it worth the risk? Consider self-insured risk as self-defense in court. If you’re bright and know how to form an argument, there’s a good chance that you can defend yourself in traffic court, or you might hold your own in pursuit of a small claims case if you should ever need to. In fact, hiring a lawyer for either of these instances might cost more than the damages you’d have to pay, or the rewards you might see. One of the most famous pro se cases on record was when Robert Kearns, inventor of the intermittent windshield wiper, sued Ford and Chrysler for patent infringement. 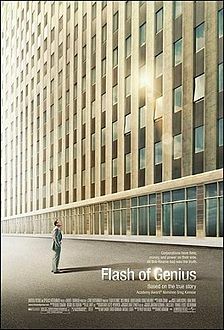 The case is immortalized in the movie, Flash of Genius. If you were a pre-law major in college, and keep up with the law, you may be able to navigate your way through the sale of a home, or a small business contract. Once you get into bigger issues – like a divorce, a large land contract, or any kind of serious law suit – it’s probably time to call a lawyer. This is how businesses should think about self-insured risks. There are many risks that a business can feel good about self-insuring – risks that aren’t at all likely to happen that can be covered by a slush fund if anything ever did happen. On the other hand, there are risks that are very likely to happen and/or may happen frequently. There are risks that aren’t very likely to happen at all, but if they did, the results would be catastrophic to the business. These types of risks should be insured. But how can you know you have the proper insurance in the first place? Sometimes, companies aren’t aware of risks they face. This is the worst kind of self-insured risk as it presents a sort of blind self-insurance. It’s a very good idea to hire a third-party to come in and take a look at your current coverage and identify any self-insured risks your business is facing and make sure your business could handle the loss if they ever occurred. A thorough look at your business might turn up some surprises. According to the United States Geological Survey, Memphis, Tennessee, is located in an area that’s only moderately likely to experience an earthquake, but if it does, the damage could be particularly catastrophic because of the lay of the land. Statistics like these are the reason you need an actuary around to calculate the likelihood of all the common occurrences and then take a look at all of the pie-in-the-sky eventualities that could potentially happen to your business. Actuaries work with insurance professionals to provide you with a big picture of what all your risks are, and what kind of coverage you should maintain to keep your business well out of danger. When you find you’re self-insuring because you just can’t get the coverage your business needs – or you can’t afford it – consider starting a captive. Captives allow you to write insurance policies that are more specific to the needs of your own business. In sit-coms and on dramatic law TV shows it’s never a good sign when a character decides to defend himself. Usually, the dramatic device in play is that of someone who believes they are much smarter than they actually are (in comedies) or someone who is under the delusion that they’re smarter than everyone else (in drama). A little bit of self-insurance is good – but avoid comedy and tragedy by knowing when you need some expert help. Contact us if we can provide some interpretation. Captives have many befits, from reducing risks to providing companies with financial and tax benefits. Intuitive Captive Solutions (Intuitive) delivers turnkey solutions for forming and managing captives that make the process a low-cost, high-benefit solution. If you’d like to learn more about how a captive can help your company, please feel free to contact us. Intuitive Captive Solutions works with brokers and firms to create and manage domestic enterprise risk captives. Known simply as “captives”, these specialized insurance companies can help businesses achieve a greater level of security while generating additional tax benefits and revenues for the companies that form them. Intuitive was founded in 2005 and has grown a strong and loyal client base as well as distribution partnerships with respected brokers throughout the U.S.
Intuitive captives are available through a national network of high-end insurance brokers. If your brokerage is interested in learning more about our programs, contact us for additional information about captives. Visit our careers page to find out about available positions at Intuitive. Find out more about partnering with Intuitive. A family-owned manufacturer of electronic components was looking to save on costs while building value into their company as they planned for retirement. Company leadership had tried a number of tactics, including reductions in insurance premiums. For years, they attempted to reduce premium expenses while pushing for marginally broader coverage. They tried adjusting coverage cap amounts, deductibles, and exclusions at renewal to find additional value, but these strategies weren’t as effective as they were hoping they might be. We worked with the manufacturer to produce a feasibility study. We reviewed their insurance programs to see if a captive insurance company could add the value they were looking for. By creating a captive, the manufacturer would be creating a domestic private insurance company that could sell lines of property, casualty, and liability insurance to the manufacturing company. We found that, in this case, a captive was a very good solution for the company. We also recommended that the manufacturer make several adjustments to the existing commercial insurance programs they had. This created immediate cash savings for the manufacture by lowing their property and causality premiums. The captive then issued a supplemental commercial insurance policy to the manufacturing company in exchange for a fully tax deductible annual premium of $1,190,000. Now, the family has a new business that generates a net profit budgeted to exceed $3 million over the next six years. The captive’s profits will be distributed to its owners at more favorable tax rates. If the manufacturer does have a claim they can now receive reinsurance payments on losses that would have previously been self-insured. All of these results were welcomed by the owners. But there was one additional benefit that meant a lot to them: Captives can also be owned by the next generation as a trust. The owners, looking at the company they’d built with the next generation in mind were very happy to know that their investment could be handed down safely. At Intuitive we consider our clients our long-term partners. We’re working with clients throughout the life of their company – from first major investments to the creating a legacy for the next generation. If we can help you build your company’s future, please contact us.